A nostalgic ice cream parlor in Old Orcutt. 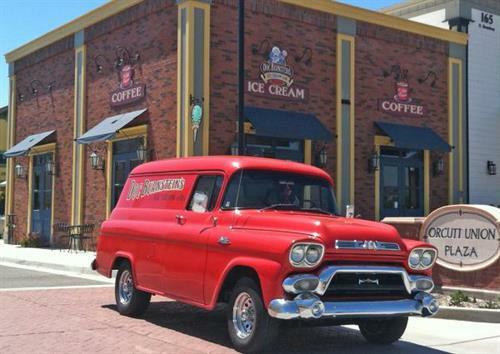 Enjoy our hand-crafted super-premium ice creams while watching the model train circle overhead. Party room and catering available. Also enjoy DB's Old Town Coffee, with locally-roasted premium coffees and espresso drinks. And check out our fresh-baked pastries, all made on-site.